Being a 1 to 1 iPad teacher has made me the biggest fan of using QR Codes and Forms. I use both tools separately and together seamlessly. Today I'd like to share some of the ways I use them both. Below in the comments tell me some ways you use them. A QR code, short for quick response code, is a machine-readable code that can be easily scanned by any electronic device with a camera. QR codes have a wide range of uses from stores use for advertisement to individuals using it to give out their contact information. There are so many possibilities since you can use QI codes to access a URL, save contact information to a phone, send a text message, send an email, display text, display a Facebook button, display a PDF, play a MP3 file, open an app in the app store, play an audio file, or display images. I find QR Code helpful when creating instant feedback center activities or rotation stations. I love that I can have students to scan for feedback. I have even tried my hand at given feedback as a voice clip. A Google Form is a web-based app ran by Google used to create forms to collect data. You have the option of displaying that dat in a spreadsheet. Google Forms are free and can be used for a wide range of uses. You can create polls, surveys, quizzes, and much more using Google Forms. I use forms for surveys, self-reflection, pre-view activities, checks for understanding, reteaching, and assessments. A unique way I use Forms are for "Choose Your Own Adventure" style review. What do you get when you combine QR codes and Forms? I'll answer that for you. You get complete awesomeness that runs as well as a well oiled machine. Combining the two tools makes completing some tasks more seamless. They can also come in handing if you do not have a one to one class like myself but you have to check out devices to use in your class. How much do I love thee? Let me count the ways. Discipline for Students: You can have students scan a code to complete a form as they reflect on their behavior. Discipline for Teachers: Create a unique code that you scan and it notify the parents upon completion of the form. Passes: Have students complete a form when they are given permission to leave the class. Tardies: Have students scan and complete a form upon enter the class tardy. Tracking: You can tracking behaviors, pass usage, etc. Warm Ups: Have students scan and complete a form for warm up. Notifying Parents: You can use a unique QR code each student or a generic form that will notify parents each time you complete it. Checking Books Out: You can have students scan a code to check out books from your class library. Feedback: Use QR Codes to give feedback for behaviors, projects, papers, etc. 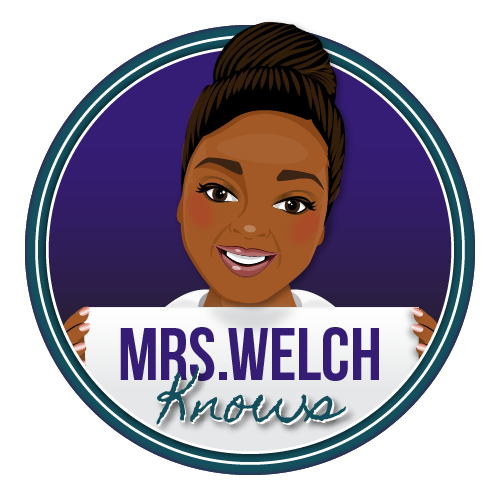 Classroom Observations: Scan a code for the teacher then complete the form that they will then have access to. Lunch Count: Have students scan then choose a lunch choice. You be able to quickly check the numbers on the response tab. Event Registration: Use a QR code for access to the form for event registration. Activity Checkin: Use a QR code for access to the form for activity check in. Digital Gallery Walks: Students can create a code that give access to their product in a form. Students can view the product then give feedback in the form. Scavenger Hunt: Scan a code for the clue that will send students to the next code. Collecting information: Use a code with a form to collect information from students or parents. Parents can even scan the code at him to complete the form. 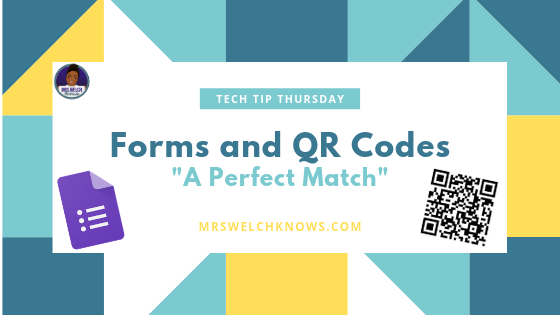 Late Work Submissions: Now that you can submit attachments to Forms, students can scan a code to turn in a make up work. Assignment Submission: Students can scan to submit an assignment. They can submit to one form on a different form based on the assignment. Warm Up Form, Journal Form, Homework Form, etc. 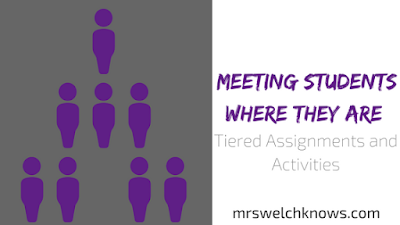 Parking Lot: Have students submit comments and questions to a Form via scanning a code while you are teaching or working in small groups. Address questions when convenient or at the end of class. Sign Up Sheet: Use to sign up for an event. Use multiple codes for multiple events. Input: Use QR codes to get input on a topic. Professional Development sharing: Use a QR Code for sharing and give all access to the results in Google Sheets. Preview Activity: Use a code to gain insight from students as they preview upcoming materials. You can set up stations with codes to scan. Brainstorming: Use a QR Code for brainstorming and give all access to the results in Google Sheets. Collecting Data at Stations: If you are collecting data, use a code to collect it and share with data via Google Sheets allowing students to analyze it and decide how to display it. Scheduling: Use limited time slots with forms for schedule. Once a slot is filled it will be removed from the form. Lesson Plans: Code can be scan to complete plans as a team or can be used to access plans and give feedback via a form. Rubric: Create a rubric for a project and scan the code to complete the rubric and give feedback to students. Have students code your form and create their own unique code to receive feedback instantly after it has been graded. Evaluations: Use codes with Forms to share evaluation notes. Digital Breakout: Have the students scan codes in multiple areas and crack the code to go to the next code for the next challenge until all challenges are completed. Tell me in the comments how you use QR Codes and Forms together. I have been a math teaching, technology integrating, innovation seeking, interactive notebook loving middle school teacher since I've been in the classroom. My goal has always been to deliver what the students needed in the most fun, innovative, and exciting way possible but we all know that there are some things that can't be given in such a way. It this is true for all subject areas and not only math. Since I've began my journey as a 1 to 1 iPad teacher in 2015 it has been a goal to have a paperless classroom. Being a math teacher and believing that you just have to write, not type, certain things out in math I have have been stagnate in my journey even though I've seen the transformation and takeover of digital interactive notebooks in classrooms. I use the LMS Schoology daily and I've witnessed students trying to type some things out that are just not possible with the letters, numbers, and symbols available on a regular keyboards. When I think about those instances things such as number lines, probability trees, and tables come to mind. 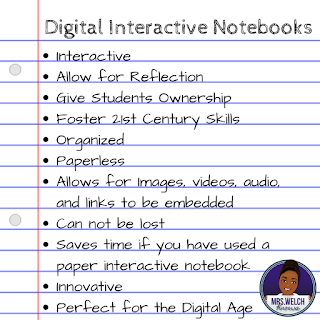 Sure, these things can be created in several programs but not in the programs that are big hits for digital interactive notebooks for students such as Google Slides and other programs similar to PowerPoint. Do you see my dilemma now? As a math teacher, I want my students to be able to write or draw certain things out but with Google Slides that is not possible without app smashing which I choose to avoid as much as possible to simplify the daily process in my classroom. Every year I've explored how I could possibly go paperless. I considered many thing but none allow me to create interactive digital pages and had the capabilities for my student to write/draw on the screen of their iPads simultaneously. I have finally found a game changer! Granted, I may be late to the party but my mind is blown. Did you know that Keynote has an added feature of allowing drawing on the slides? Yes, Keynote! The Apple created presentation software and app. It has an awesome feature that allows it to do all the things we use Google Slides and the veteran, PowerPoint, for BUT, wait for it, you can draw/write on the screen! I do not even know if this is a new feature but it is a new feature to me that I am excited to have discovered. 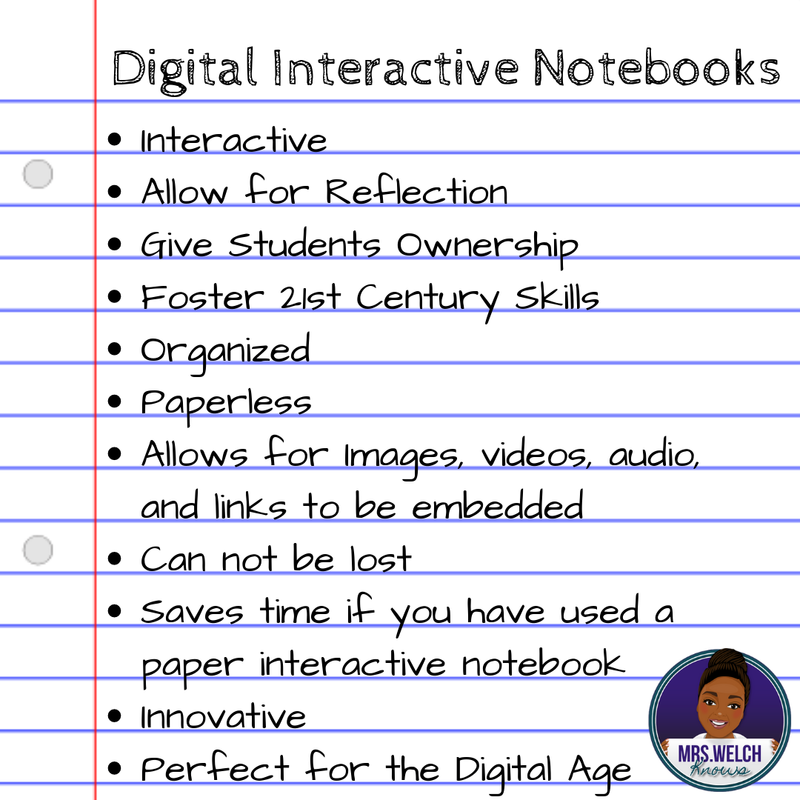 Not only am I able to go paperless but I can get rid of my group supply sets and many of the other things I used for my class with interactive notebooks. By going digital, my supply list to families will basically be kleenex, sanitizer, and earbuds, I will not have to deal with lost notebooks or things falling out, and lastly, clean up at the end of every class will be ahh-mazing! A digital interactive notebook allows you to take cut and paste, sorting, or matching interactive activities and allow them to be completed on an electronic device without the paper, scissors, tape, glue, or crazy clean up. You can even recreate plain old worksheets to make them digital and interactive. 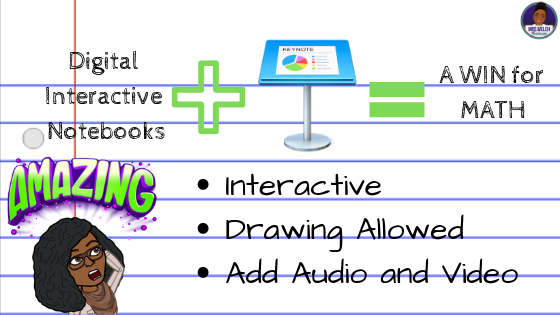 I was able to take all of my doodle and guided notes and use them in my students' digital interactive notebooks. Teachers can bulk share from Macbook or iPad. Students can import the keynote directly to their iPads. Slides can be interactive allowing students to move objects around on the screen. Students can import additional slides throughout the year. You can create or use slides created in Google Slides or PowerPoint. While creating the slides from your MacBook you can import pdfs directly to slides for your students to draw on. You can link slides to the pages listed in the table of contents. Students can insert pictures, audio, or video to slides. Teacher can downloads videos including those from Youtube and add them to slides. 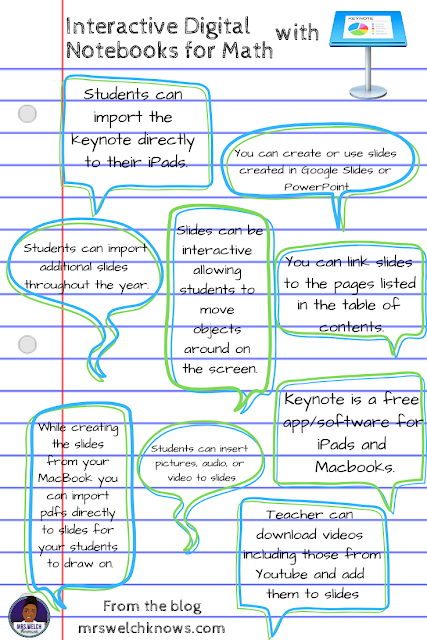 Keynote is a free app/software for iPads and Macbooks. There was a highlighter marker. There is only a pen, crayon, pencil, and marker feature. Students could import pdfs on iPads. Overall, this was an amazing discovery and I feel that I literally just upped my game as a teacher. I have been able to almost eliminate my class supply list, I no longer have to worry about students losing pages or notebooks, and I do not have to deal with a hot "glue-tape-paper" mess. 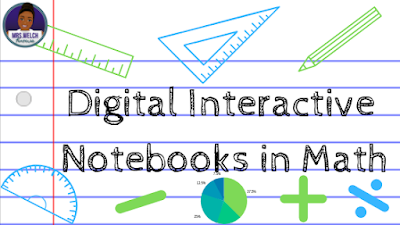 I see a heightened interest with the digital interactive notebook with my students. Some of them also are relieved to not have to remember to bring their notebooks to class. Download your personal copy of the starter pages of a digital math notebook and some integer concept pages plus some page templates that you can make your own. Leave a comment below. 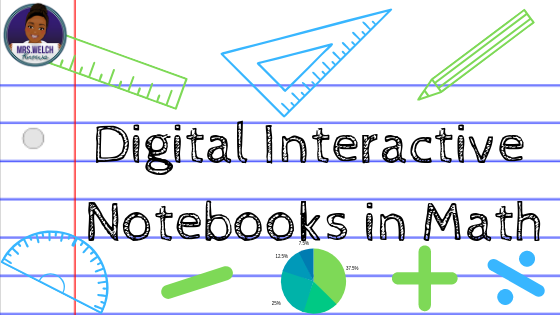 Are you a fan of digital interactive notebooks? Ever need to gather all your students responses or ideas in one place? Need help putting a twist on your everyday activities? Padlet is a wonderful tool to help with that. 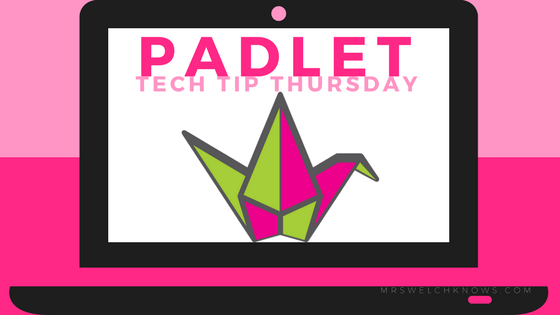 This week's Tech Thursday is all about using Padlet in the classroom. I was first introduced to Padlet as a way to share learning experiences during my first Ed Tech Team GAFE Summit. I was sucked in from the moment I click on the shared link and starting sharing and reading about my colleagues experiences in the different sessions. Based on previous experiences with my advanced classes I felt a need to pre-test my students knowledge of solving equations. The assessment was short and to the point with 3 sections: one-step, two-step, and multi-step equations. The results that followed weren't too shocking for myself. 8% of my students were ready for the next level which was solving equations with decimal and fractional coefficients. About 38% of may students were not ready for equations at all. The remaining 54% of my students fell somewhere in the middle. 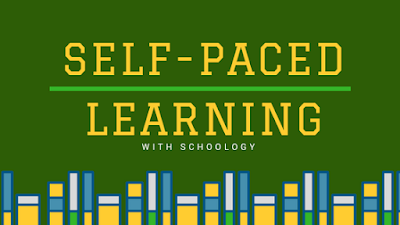 I did not want to hold students back but I also didn't want to leave students behind so Self-Paced Learning was born in my class to solve this problem that I was conflicted with. Without any researching I took off and started planning. I was told by an amazing administrator years ago that, "Parents send the best kid to us that they have." They can't send us what they don't have and we have to work with what we have. We, as educators, like to some times play the blame game, myself included, and we must do better. We can not control what students come to us with and how involved parents and/or guardians are outside of school so we have to, for a lack of a better way to put it, "work with what we have" and ensure that all of our students are successful. Small wins and big wins are still WINS. I'll take it! That's where my inspirations for this blog post comes into play, Tiered Instruction. Tiered Instruction is a way to differientate for your students. 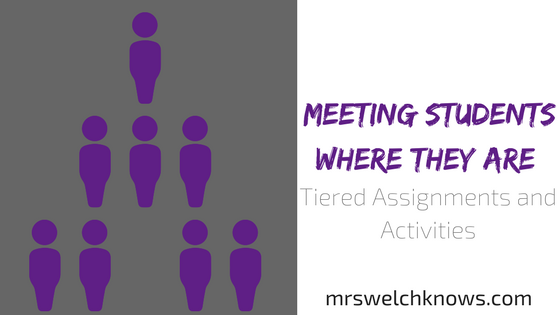 It allows you to provide leveled assignments and activities that meet the students where they are in an effort to bring them up to where you need them to be. Last year I was inspired by Rachel of @historicalipad to set goals for 2017 and choose my one word that would inspire me for the new year. Last year my one word was consistency. With consistency I hoped to achieve my goals for 2017. 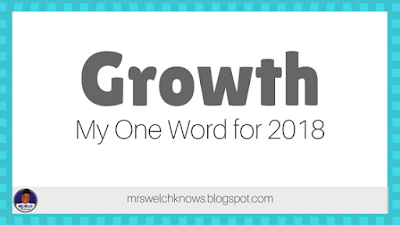 So here I go again with my #oneword2018. My one word for the new year is GROWTH. Growth is the process of growing or increasing in size. There are several things in my life that will benefit from growth or that I would love to grow. Have you ever thought about personalizing your class presentations, activities, or rules? Ever needed to express a feeling that may take too many words to express verbally? Do you want to grasp your students’ attention and make connections with them? Want to be the “cool” teacher on the team or hall? There’s a bitmoji for that!